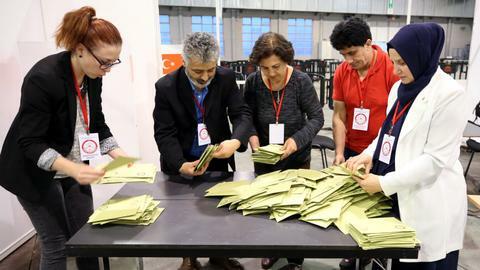 Number of Turkish ministries to be reduced to 16 under new presidential system of governance if Turkish President Recep Tayyip Erdogan is re-elected, says incumbent on Thursday. Ahead of Turkey’s presidentail and parliamentary elections this Sunday, President Recep Tayyip Erdogan unveiled his plans for a new presidential system of governance late on Thursday. 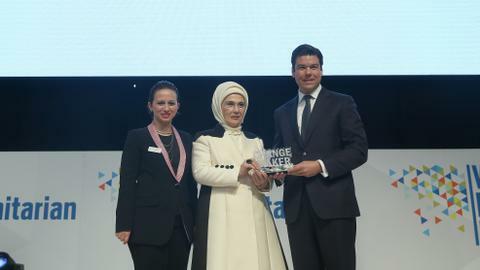 Speaking during a special joint live broadcast on Turkish channel ATV and channel A Haber at Istanbul’s new airport, Erdogan explained how he would change the country's political system if re-elected. 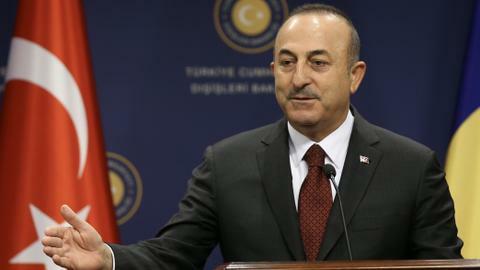 “We will reduce the number of ministries to 16 in the presidential system of government,” he said. He listed them as the Ministry of Justice, Interior Ministry, Ministry of National Defence, Ministry of National Education, Ministry of Health, Ministry of Energy and Natural Resources, Ministry of Environment and Urbanisation, Ministry of Culture and Tourism, Ministry of Youth and Sport, Ministry of Treasury and Finance, Ministry of Transportation and Infrastructure, Ministry of Foreign Affairs, Ministry of Labour, Social Services and Family, Ministry of Agriculture and Forestry, Ministry of Industry and Technology and Ministry of Trade. Emphasising that the new system would cement the separation of powers, the president said the link between the government and parliament would be cut. “Under the new system, the government would just be authorised to submit one parliamentary bill on the budget. The authority for the parliamentary bill only pertains to the parliamentarians,” he said. 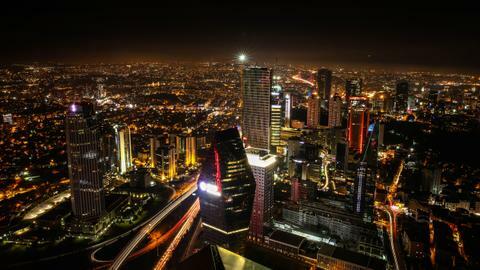 Erdogan said four main offices would be established under the new system of governance. “In the first stage, four offices for Human Resources, Investment, Finance, and Digital Transformation bear great importance under the new model because they are almost the closest staff to the president,” he said. The president also said fresh directorates would be established under the new model. “And also, of course, there are directorates to be affiliated to the president, and eight directorates are at stake here,” Erdogan said, naming them as the Directorate of General Staff, Directorate of National Intelligence, Directorate of Defence Industry, National Security Council, Directorate of Religious Affairs, State Supervisory Council, Directorate of Communication and Directorate of Strategy and Budget. 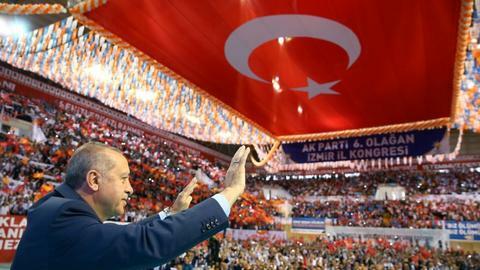 Erdogan also explained that the economy would take a new direction under the new system. “Economy administration will be simplified. We will reduce the number of related ministries, which is six now, to three,” he said. Economic administration would be based on production, finance and trade, Erdogan said. He also mentioned nine councils would be created which would submit proposals for policies and reports. Among them are the Social Policies Council, Health and Food Policies Council and Art Policies Council, Erdogan said. Asked about why such a radical and new system was being put in place, Erdogan said he wanted to get rid of some handicaps in the current system as they were obstructive. “The sluggishness of these structures [under the current system], which I constantly call ‘bureaucratic oligarchy’, the operations and processes in the institutions stand in our way,” Erdogan said. Responding to a question on the number of vice presidents under the new system, Erdogan said the structure in parliament would affect that decision. Under the new system, the number of vice presidents would not be spelled out and it would be up to the president to decide. Voters will head to the polls on Sunday. 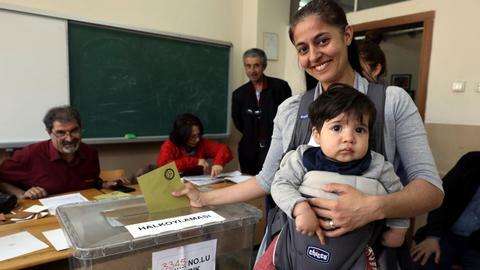 Six candidates are running for presidency while ten political parties are taking part in the parliamentary elections. Erdogan has served as president since 2014, as Turkey's first popularly elected president. Before that, he served as prime minister from 2003 to 2014. 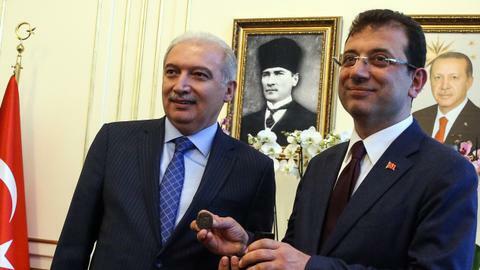 If re-elected on Sunday, he will be Turkey’s first president under the new presidential system of government, which was chosen by Turkish voters in an April 2017 referendum by around 52 percent of the voters. Look for our confirmation email in your inbox, or possibly your junk mail. You'll also receive a Whatsapp message from us to confirm your sign up.